He..better late than never, huh! there simply cannot be a drawback to your being prolific?? ?please find and publish your answer so that my world goes back to being round again. Love all your beautiful prints. I have a stack of 70 and had to stop as I need some time and things to do with all of them. I saw that new round gelli plate and said No No No (love it) but No! 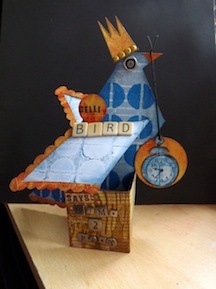 that’s the thing about the gelli plates they are so quick to do with great results. Love the prints on the previous post …. did you see Dave Gorman (on Dave the channel) last night very appropriate …. you should watch it, its very funny. Goodness, you have been having fun with your gelli plate. Looking forward to seeing how that idea develops. 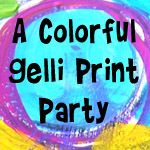 oh my goodness…all the gelli prints! What fun you are having! 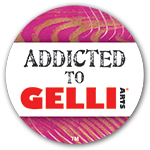 Have never tried Gelli, but it looks like it would be wonderful creative fun! Beautiful backgrounds! In answer to your question I don’t know if smooch is the same as the other stuff because I have never herd of it, the other stuff that is. LOL But when it comes to the gelli there really is no boundaries. A plethora of pretty, prolific prints…perfectly presented for our perusal. Ok, I’ve run out of P words now!! There are some awesome colours i amidst the pile o’ prints, lovely to see. Hope you come up with something soon 🙂 I am drowning in Gelli prints too!!! I did email about the deli paper, but the postage was very expensive, so not worth it. Do you know if there something in UK we could use instead? 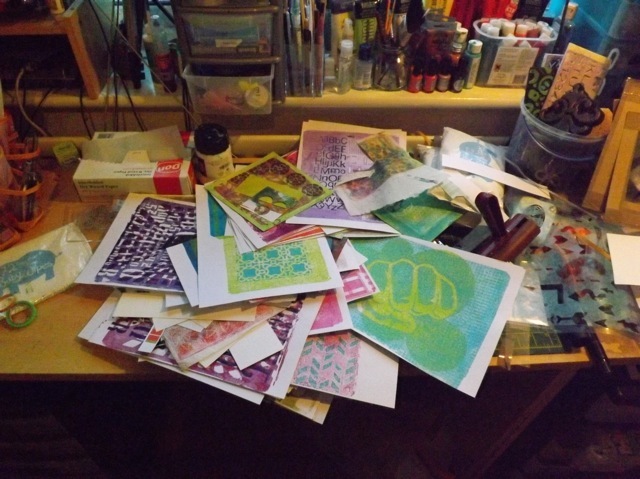 Really a massive pile of gelli prints – ha, ha I have made about 10 all together…. I am sure you will soon come up with an idea what to dowith your prints! Wow you’ve been busy! Look forward to seeing what yo do with them all! Oh dear. I had a look back at this post https://scrappystickyinkymess.wordpress.com/2013/02/19/deli-paper-yeah-baby/ where I had a link to a UK source and I can see they don’t seem to carry it anymore. I might have to email them to see if they will be getting it back in stock. But whatever you do be CAREFUL on AMAZON. I found it there for a very cheap price, but it shipped from the USA and you only saw what the shipping was pretty late in the ordering process…and it was something like £60. Make another journal and use all the pages in it. You did one awhile ago and it was brilliant. I so love seeing all you pages. You have been busy! I’ve only made one batch and still trying to use them up. ovey colours! Have just seen your bird – love it! !